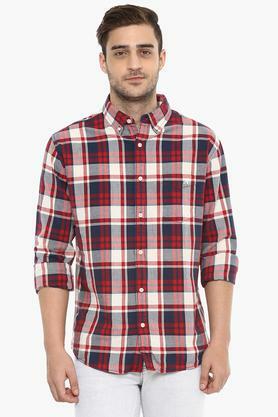 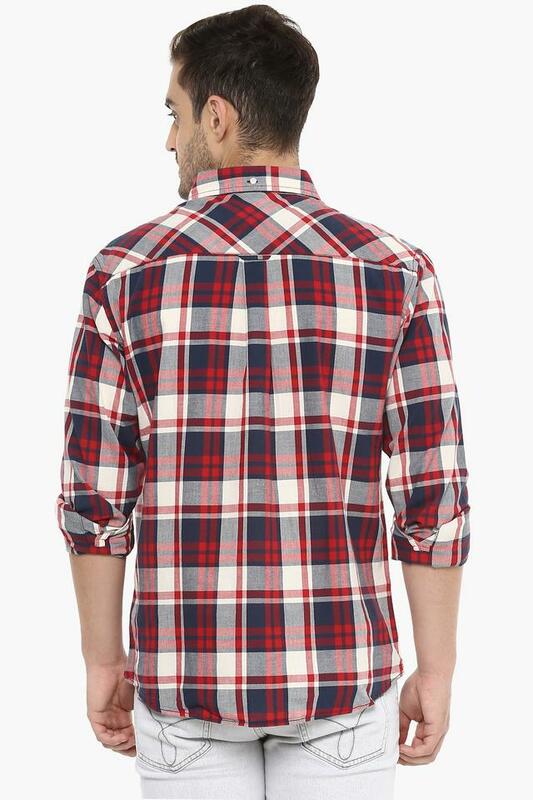 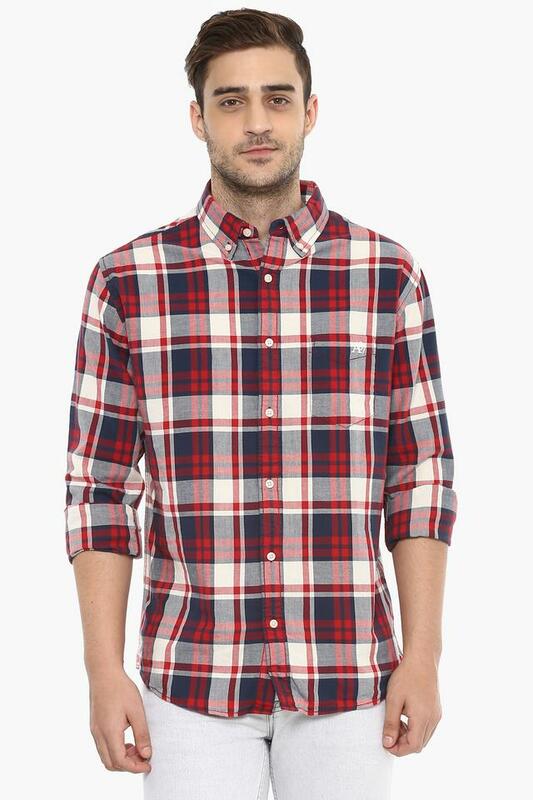 Modernise your wardrobe collection by adding this shirt from the house of Aeropostale. 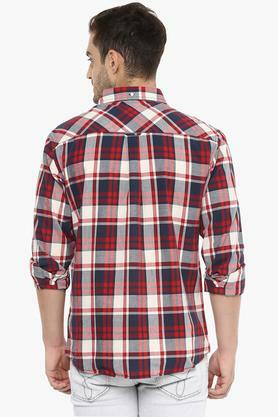 It features a check pattern along with a nice colour combination that lends it a trendy look. Moreover, the full button placket at the front makes it convenient to wear. It also has full sleeves, which along with the buttondown collar accentuate its design. 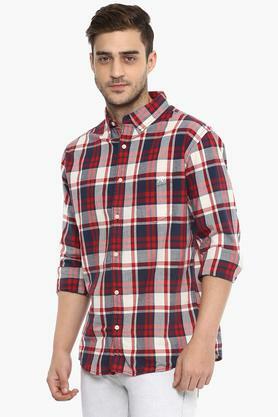 Comfortable and classy, this shirt will be a nice choice for casual occasions. 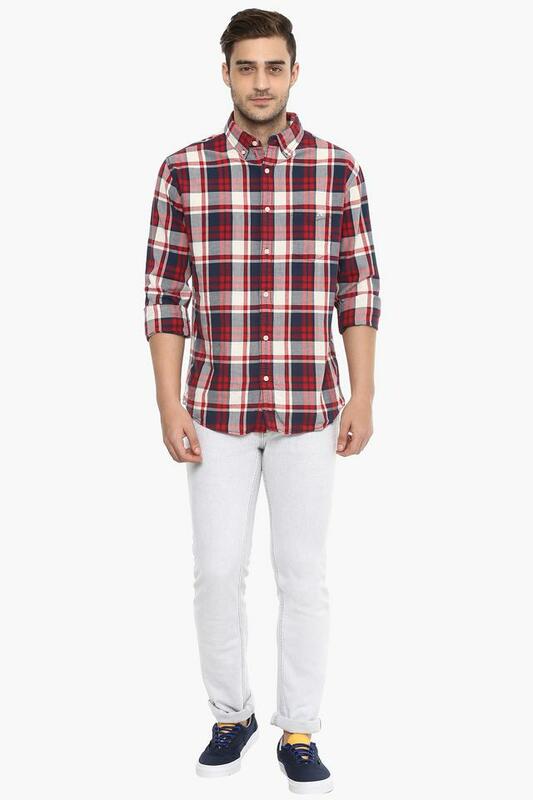 You can team it with a pair of chinos and loafers while going for any leisure outing.